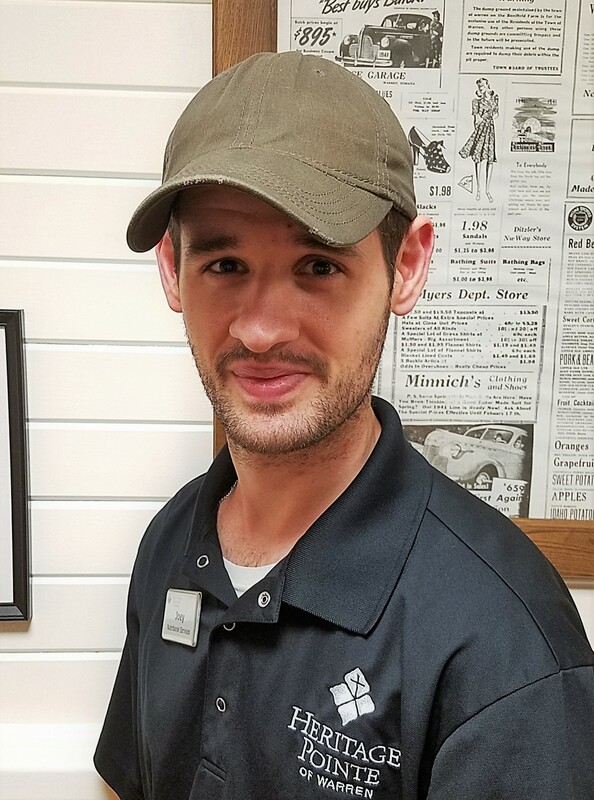 Joey Irwin has been with Heritage Pointe of Warren on our Dietary team for over 9 years. His hobbies include collecting football cards, watching TV and listening to country music. Some of his favorite TV shows to watch are Survivor and The Walking Dead. Joey’s idea vacation would be traveling to Nashville or Hawaii with friends and family. His motto in life is “Anything Is Possible.” Thank you for bringing your best to work everyday!